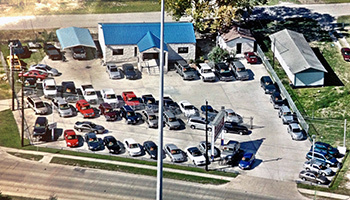 Western Motor Company offers a large inventory of pre-owned vehicles at competitive prices. Whether you are looking for a Car, SUV, Van , Truck, you can find a great selection of vehicles in excellent condition. We offer easy cash pricing and a financing program that helps you get into a vehicle every time. If you have bad credit or NO credit we are the place for you. Click here to fill out our Secure Online Credit Application to get you on the road today. Western Motor Company is Christian family owned and operated since 1992. This is a result of repeat business brought about by our desire to get to know each individual customer that walks onto our lot. We are proud members of the Better Business Bureau, Texas Automobile Dealers Association, as well as the National Independent Automobile Dealers Association. Our mission is to make every customer feel welcome and to make them a part of our family here at Western Motor Company.